Out of all the game demosÂ availableÂ for Wii U at this week’s E3, I hope that Shield Pose is the one to become a retail release because of it’s uniqueÂ rhythm based gameplay. 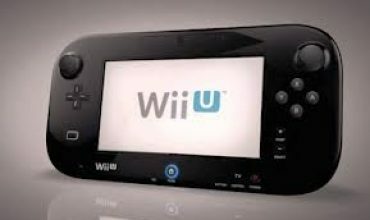 The basic premise of the title was a simple one; you must use the Wii U tablet controller as a shield to block incoming suction-cup Â arrows from the onscreen pirate characters. To achieve the highest possible score, you must block the arrows in tune with the beat and audio cues. The E3 build of Shield Pose had the player listening to audio ques from both the television speakers and the built in speakers of the Wii U tablet controller. Shield Pose reminded me ofÂ rhythmÂ games that came before it such asÂ Parappa the Rapper, but with a unique Wii U twist. No word as to if the demo will become a full fledged game in the future, but I sure had a lot of fun and hope that it does. Written by: Eugene Allen on June 10, 2011. Didn’t Pre-Order The Wii U? You Still Have Time! Nintendo To Remove Indie Dev Office Restriction?